You have a reputation for BEING THE BEST! 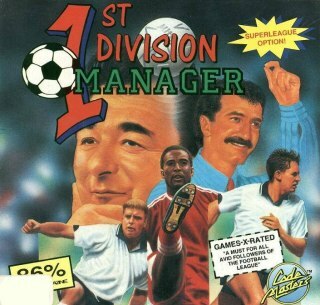 So good, that any club in the FIRST DIVISION will take you on as their manager. So choose your favourite team, and take them to the top. After all, you must keep that GREAT REPUTATION! Take your team to the top in this realistic football manager simulation. Train your players to be the best! And if they don't fulfil your expectations then sell them. This is the REAL world, so be TOUGH and get the most out of your team! Can you win the CUP?